Welcome to 2018 Season for Planters Walk Swimteam. Volunteers are an essential part of making our season successful. Two volunteer slots are required to be fulfilled for each child that is registered. Failure to complete this requirement may result in your child not being able to swim at Meets up to and including Championship meet. There are usually more volunteer slots, so we appreciate anybody who can offer additional help. We encourage our veteran families to sign up for the Intra-squad meet 6/9/18 to allow new families the opportunity to experience how a meet runs. Any questions about volunteer roles can be directed to a member of the committee or crew who will gladly assist. Parents, Guardians, grandparents and older siblings are all welcome to volunteer also. During the season the committee and coaches are busy with planning, so should you be unable to fulfill a spot you signed up for please help us by finding somebody to fill in. Help is always needed to set up and clear up at the beginning and end of each practice and meet. Concessions - Set up/break down inventory, serve and supervise sales. Timer - Responsible for operation of stopwatch for assigned lane and taking note of time recorded. Instruction will be given by Starter at beginning of Meet. Please be prepared to report to Starter ahead of Meet start time. 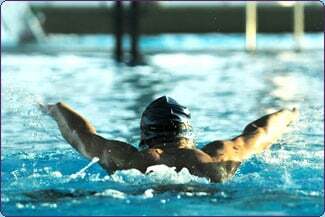 The system starts the stopwatches automatically, lane timers stop the watch when swimmer touches the wall. Tattoo Awarder - Provides Heat Winner Tattoos to the first male and first female in each heat. Asst. to Clerk of Course - Works with the Clerk of Course to ensure swimmers are checked in and lined up for their heat. Runner/Float/Back up - Any additional items that come up, fill in for any volunteer slot that may not be filled.